Here are the two rings I made last weekend. 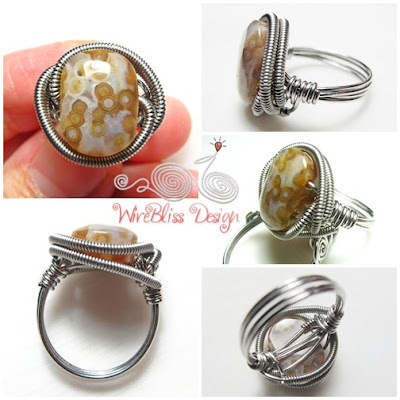 This first one here is a wire wrapped Jasper ring. This stone has two holes on it. Because of that, I spent quite some time figuring out how to wire wrap so as not to get one messy wrap. Chipped one stone in the process....the preferred color by the lady who comissioned this. Now I am not sure if she likes this color. If she doesn't, I will keep this for myself :) Love it. 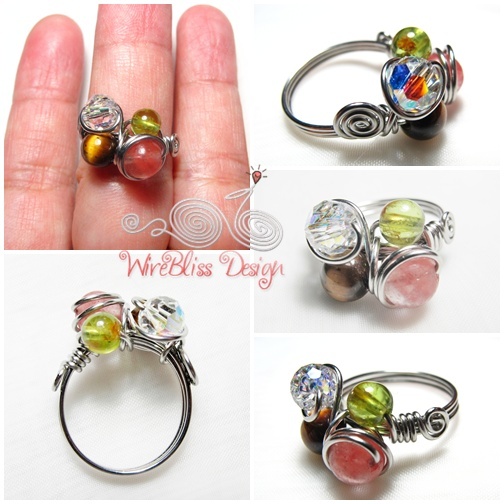 Another fruity wire wrapped ring. Made this one many times before. Learned how to make this from one of the Yahoo Groups. If not mistaken, it's Beadingholics but I maybe wrong. Searched for the tutorial but can't find it there or other groups.